This year we really seem to have a never ending summer in the Netherlands, great right? But sometimes it’s maybe a bit too hot… With this heat in Rotterdam we all deserve something refreshing! 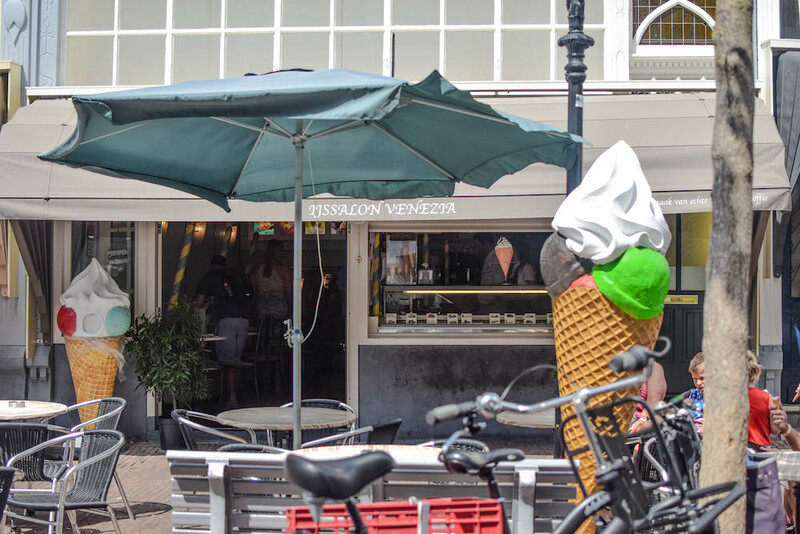 In this post we share a selection of hotspots and ice cream parlours in Rotterdam where you can get a delicious ice cream. From classic ice cream to cheat-day proof creations. Of course, the new Ben & Jerry’s shop has just opened up in Rotterdam, so you have another great excuse to get an ice cream today. Enjoy! Ice cream in Rotterdam: 16 spots to get a delicious ice cream! 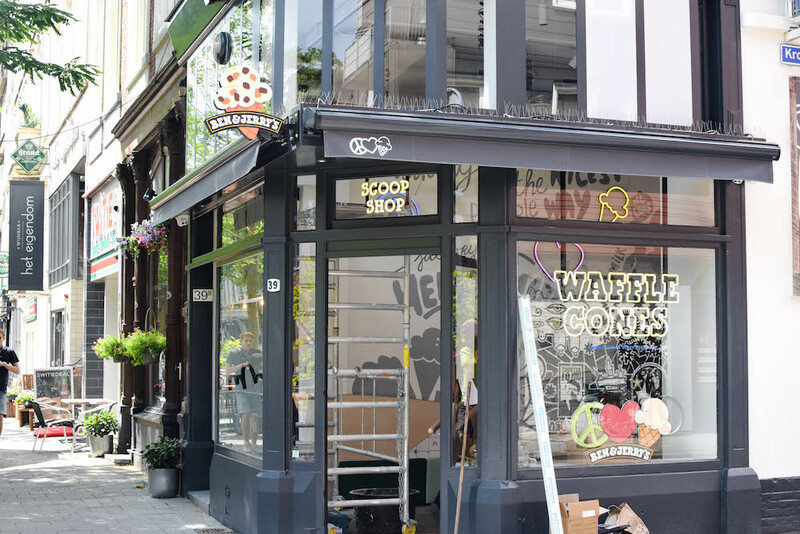 You’ve probably already heard it: a Ben & Jerry’s Scoop Shop has opened at the Witte de Withstraat! 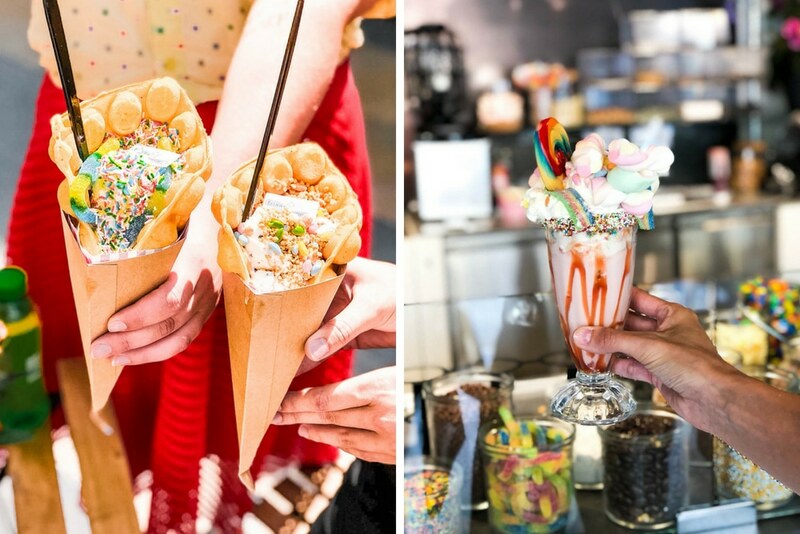 At this new hotspot you can eat delicious Ben & Jerry’s ice creams in more than 15 flavors, including the special Rotterdam flavour Gers Bakkie Roffa, but they also serve milkshakes, chunk shakes and freshly baked waffle cones. To celebrate the opening of the Ben & Jerry’s Scoop Shop, they are giving away free ice creams! On 25 July, between 2 and 8 pm, the opening will be celebrated with a Free Scoop Day. Mark your calendar! Capri is a well-known ice cream parlour in Rotterdam and we can’t imagine the Karel Doormanstraat without it. Since 1957 you can find real Italian ice cream at Capri Rotterdam. This traditional ice cream parlour is owned by the family Burdo, who make their ice cream with love. At Capri you can find over 40 delicious ice cream flavours, which is made fresh each day with natural ingredients. Besides delicious ice cream, they also serve refreshing drinks at Capri, such as a frappé, but they also serve any type of ice cake or typical Italian cake. Delicious! One of the best ice cream shops in Rotterdam is definitely the IJssalon. The owner Robin Alting has multiple awards for making ice cream. The ice cream is hand made with fresh products, like fruit, juice, vanille and milk, cream and sugar. Usually it can get pretty crowded on a sunny day at the IJssalon. Luckily, you can also find the delicious ice cream in the Markthal and West-Kruiskade. At this Italian restaurant they make their ice cream without flavourings and preservatives. They only use natural ingredients, such as biological milk. They also serve delicious desserts, cookies and home made bread. It’s a great place for dinner, but definitely don’t forget to leave room for desert! Belicio Cheat-day once started as a ice cream truck, but this year they opened up a shop in the Koopgoot! Not only do they serve delicious ice cream, but also ice donuts, freakshakes, bubblewafels and many more goodies full of calories. Belicio Cheat-day is of course the perfect place for, the name says it all, a cheat-day! So be sure to visit the Koopgoot if you deserve such a treat. In Blijdorp you can get delicious ice cream at Gie Gelato. Tasty flavors with as little additives and colouring as possible. Most flavours are created by the team of Gie Gelato and they aren’t afraid to experiment. For example, during the last Id al-Fitr orfestival of breaking the Fast they had delicious Baklava ice cream with vanilla and pistachio. Yum! Since 1964 you can go to Venezia for traditional Italian ice cream. The ice cream is made in their own kitchen and consists of various delicious flavors. Venezia also serves ice cream, tiramisu and pastries. Always a great option on a perfect location at the Oude Binnenweg. IJssalon Doppio started with their traditional ice cream in 2005 in the heart of Crooswijk, but has grown over the years. Now, in addition to the location in Crooswijk, you can also get their delicious ice cream at the headquarters on the Lusthofstraat in Kralingen. Next to the delicious ice cream, IJssalon Doppio also serves coffee and other homemade delicacies. Angelo Betti not only serves delicious pizzas and pastas, but also delicious ice cream! In 1922, Angelo Betti even started as a small ice cream shop on Zuid and eventually became very well-known in Rotterdam. Now the fourth generation Betti is in business, and the quality is still as good as when it all started. Go here for large coupes of ice cream with chocolate sauce and flavors such as Straccianeve or Limoncello. È delizioso! Baker’s Dough is the ultimate hotspot to intensely enjoy all kinds of creations with cookie dough. And what is a better combination than cookie dough and ice cream?! It may not be an ice cream parlour, but it is possible to add ice cream to any treats at Baker’s Dough. Definitely worth a visit on a sunny (or rainy) day! For 78 years IJssalon Nino has been located at the Afrikaanderplein in Rotterdam-Zuid. Here they serve homemade, Italian ice cream without chemical additives, hydrogenated fats, colorings and preservatives. They do this to ensure that the ice cream is of the highest quality! Every flavour is made according to a secret recipe… Definitely worth a visit. At Bella IJs & Espresso you can find delicious ice cream, but also coffee, pastries and other delicious cakes. In addition, it’s possible to get breakfast and brunch too. 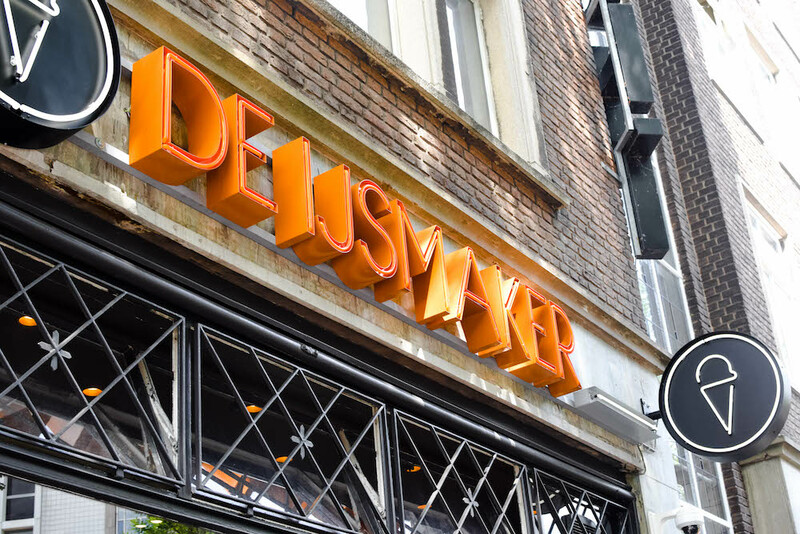 “An ice-cream a day keeps the doctor away!” according to De IJsmaker, and we can agree with that… De IJsmaker serves traditional ice cream and uses only honest and high-quality ingredients. Their store is also at a top location, namely at the Witte de Withstraat. In addition to ice cream, they also serve coffee from the best barista (2015 and 2016, Dutch Barista Championship winner) Lex Wenneker, fresh baked coconut casserole and much more delicacies. Talamore is a cozy ice cream parlor in Hillegersberg, where they serve delicious ice cream, sandwiches, smoothies and coffee. The ice cream is made with fresh and natural ingredients and without added fragrances, colors and other additives! At IJssalon Koen you don’t get traditional Italian ice cream, but real Rotterdam ice cream: honest and naturally tasty. You will find real vanilla, strawberries and more! In addition to their first location in Rotterdam Noord, you can now also visit IJssalon Koen in Schiebroek. Ice cream at the Frietboutique? Yes, because Sammy and Pebbles started in 2013 with an IJs or ice Boutique in Amsterdam. After this they expanded their concept with delicious fries in Rotterdam. So it’s not so strange that the Frietboutique at the Witte de Withstraat serves delicious ice creams alongside the special fries. And actually it’s quite a nice combination: eat their delicious fries first and then as a dessert, ice cream. At the Frietboutique they also make milkshakes of your favorite ice cream flavour. Already on your way for an ice cream?! 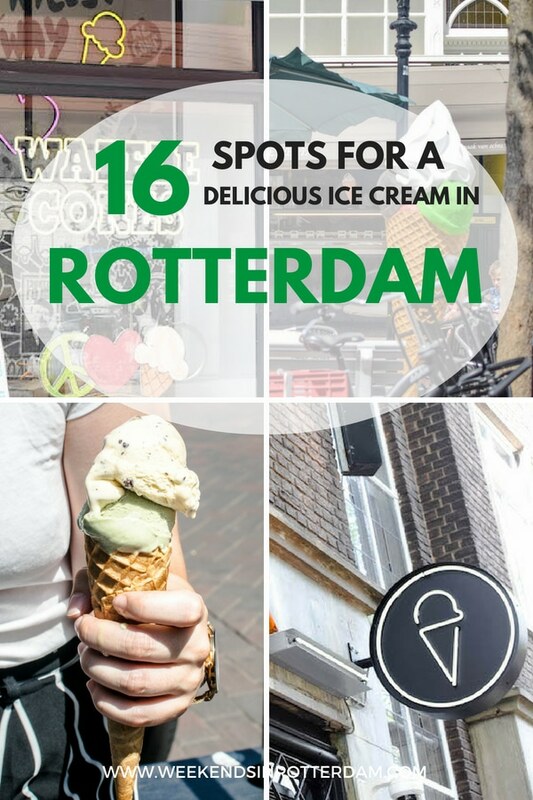 Hopefully you find a great option at one of these 16 ice cream parlours and other hotspots in Rotterdam where you can get delicious ice cream. Are you missing your favourite ice cream parlour in Rotterdam in this list? Or do you have other questions or comments? Let us know below! 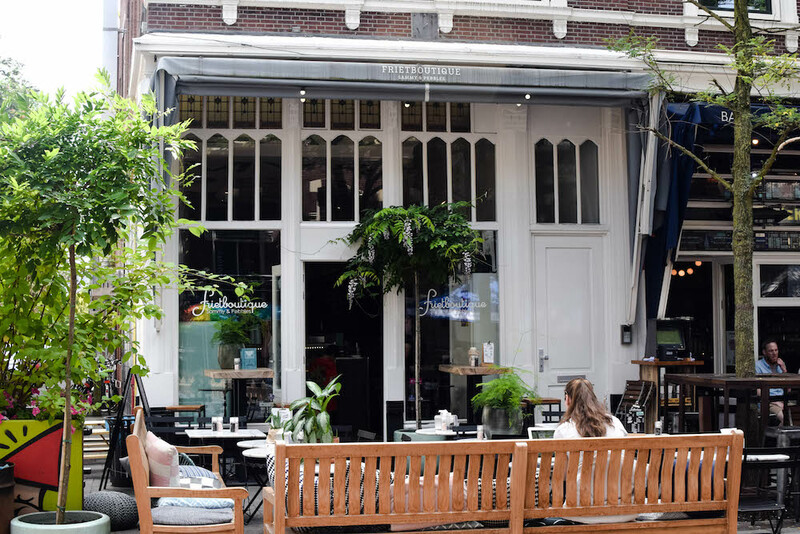 New in Town: 23 new hotspots in Rotterdam!